HomeMarketing Why Does Your Business Need a Website? In this digital world, possessing a website for your business is important. It allows you establish trustworthiness as a business. A website is accessible for the people 24/7. This way your customers and potential customers can visit your site whenever they want for support or info about new and upcoming products or services. On the other hand, if you don’t have a website, you are probably losing a number of great opportunities for your business. According to the stats, more than 60% of consumers expect brands to provide online prominence via the website about their business. And more than 50% of consumers head straight to the site for product information. 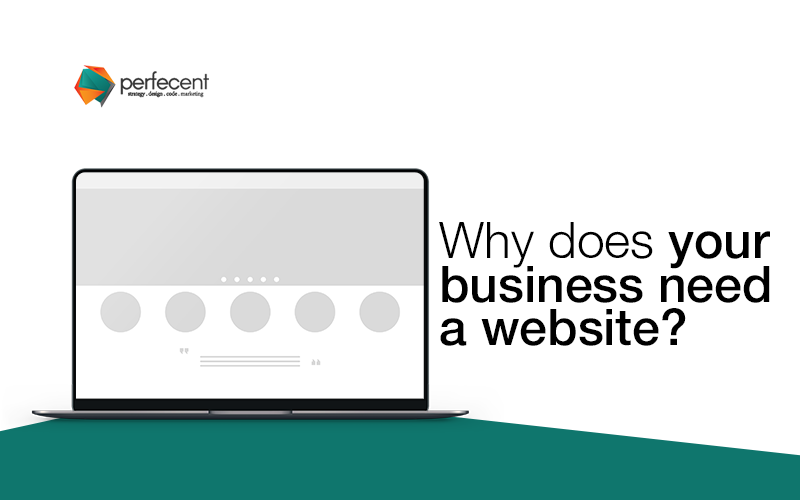 Still, if you have no website for your business, you’re losing a chance of making many customers. 90% of the consumers claim that social proofs matter a lot in buying decisions. Social proof is like a force influences you when it comes to decision making, from the biggest decisions like where to go for vacation, which hotel is best to stay, what to eat, where to live and especially what to buy or purchase and from where. Even, I mostly buy from people who recommend and have mostly profited from. Since people are already looking for you online, including customer testimonials on your website is an excellent way to convert your potential customers to the permanent. No matter what thing or relationship is, the first impression is crucial. When any customer staggers upon your business, you have not more than few seconds to impress him and convince him about your website to make more sales. One research suggests that you have 15 seconds to do so, so why not make these seconds most memorable for the people and convert them into permanent users of your website. Well, the website is not like any social media profile, a site is a permanent addition to your business. Social media can be a good place, to begin with, but when it comes to permanence and control, you can’t make sure you are hitting your target audience, unlike your site. It is up to you to control every piece of data that it uses or gets through it. Here, on your website, you are the master of every flow and everything. So, if you want your business to grow more and to grow fast, try to spread your brand like the flu during winter. Engage yourself in content marketing and digital marketing and some other marketing plans. These campaigns can lead your potential customers directly to your website. Moreover, for converting those leads into true customers, you need a compelling call to action. Play wisely with CTA to reach those massive audiences. In this age of digital technology, it is no longer wondering that every second person has a website, even your competitors. This is not a good sign if you have no website and your competitors have. Commonly, customers begin their buying journey with research and recommendations from peers. In fact, a study has shown that once you have an idea of what to buy you gradually start research and seventy percent go online to investigate the educational material, reviews, and testimonials. In this way, if you stay isolated with your shoppers and not staying competitive in the present market, you’re giving buyers a reason to purchase from another brand. Looking for excellent design and development solutions? We’re here to help. Check out our services here and read our relative blogs here.